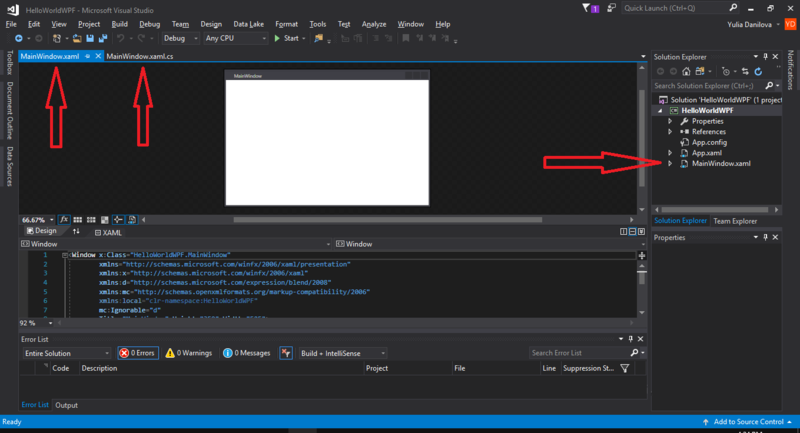 As explained in this lesson, we will create a new project, but this time we will not be using a console application template, but rather a WPF one, for the purpose of creating a graphical user interface (GUI) program. As explained in the yesterday lesson, there are more than one ways in which we can create GUI programs, but some of them are harder, or obsolete. For this reason, we will be using WPF/XAML, which will allow us to create both simplistic or advanced user interfaces, depending on our tastes or demands. You can also change the name and the location of your new project. 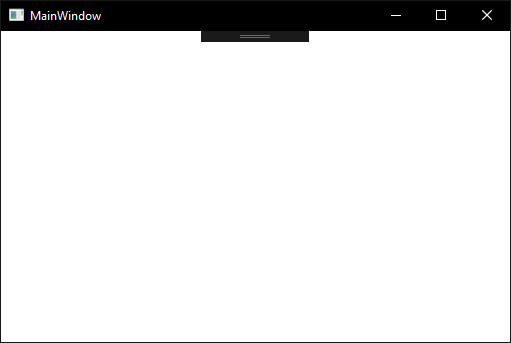 When you are done, click OK. For the sake of simplicity, I have named my project “HelloWorldWPF”. Quite different from our usual console window! 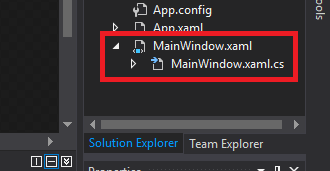 If we will examine the file MainWindow.xaml.cs, we will be pleased to see that it contains codes which we already recognize for the most part: some using directives, a namespace, a class, a constructor, some comments, a method call, etc. We will analyze all of them in greater detail in a future lesson. Section 1 is the place where we visually build our window design, by adding controls through drag and drop (buttons, labels, text fields, images, etc). 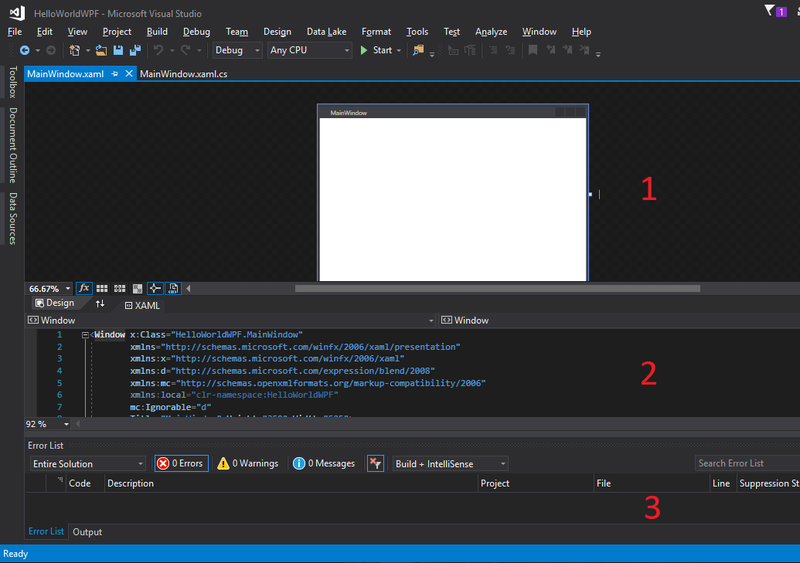 Section 2 is where we can write XAML codes to manually design our interfaces (or where Visual Studio writes them automatically, if we create our interface by drag and drop). 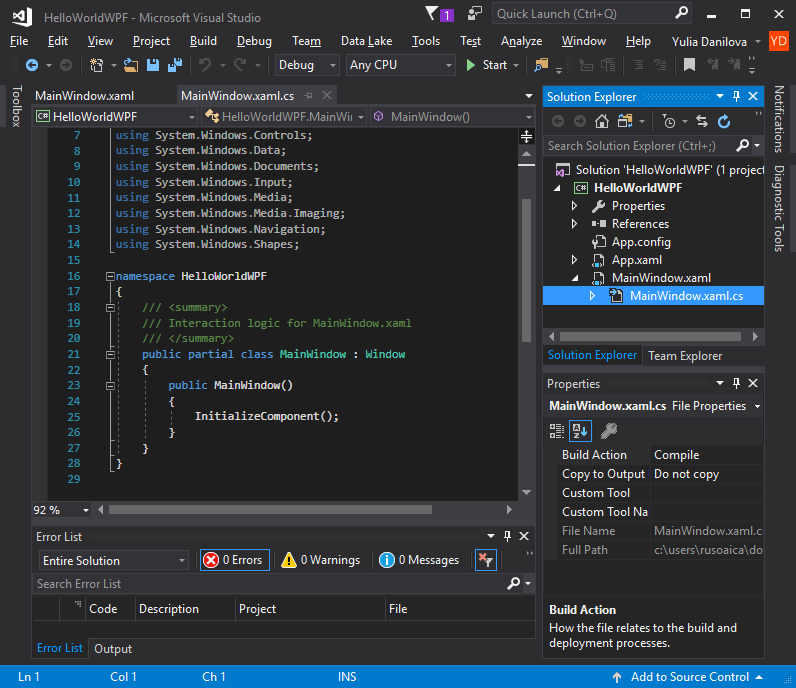 Section 3 is the usual Visual Studio error panel, where we will see errors if we do design mistakes or set invalid parameters to our controls. As with previous section, we will discuss all these new things in greater detail in our future lessons. This entry was posted on Thursday, August 10th, 2017 at 16:41 and is filed under Graphical User Interface. You can follow any responses to this entry through the RSS 2.0 feed. You can skip to the end and leave a response. Pinging is currently not allowed. 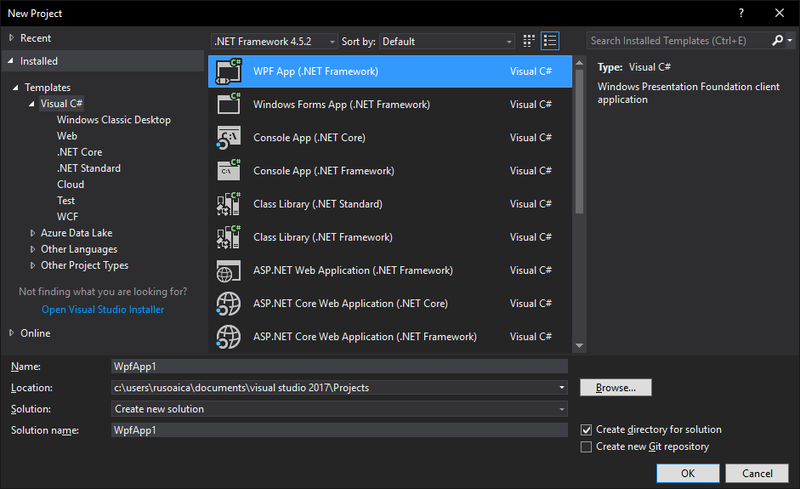 Will you publish a walk-through on how to convert an existing console application into a new WPF (gui) driven application? No, I will not post about converting a console application into a GUI one, but I will do something better: describe how to build a GUI program from scratch, step by step. I think there are two more chapters I need to cover first, Error Handling and Debugging. After that, I think there will be enough material to start working on a real program. Posts (RSS) and Comments (RSS). 513 interogations. 0.373 seconds.